I remember going to the Pinery Antique Flea Market at least once a year when I was growing up. It was the perfect excuse to go for a Sunday drive and see what treasures could be found. I went back again this year, and 2013 marks their 46th season! 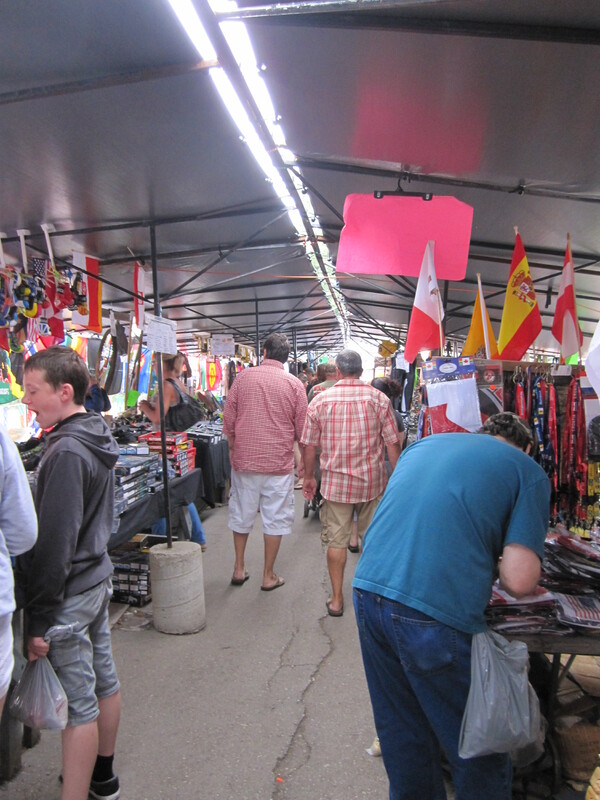 The Pinery Antique Flea Market is an indoor and outdoor market with over 200 vendors. Aside from antiques, they have an incredible variety of items for sale: direct sale products (Pampered Chef, Avon, etc. ), bulk candy and nuts, books, clothes, baking, plants, garden decor, furniture, purses, jewellery, cosmetics, local produce, meats, fresh coffee, organic skin care products…and more. I ended up purchasing some metal flower stakes for my flower beds that were priced at 3 for $10. If you like antiques, you can walk down memory lane as you browse through their 7,000 square foot building. 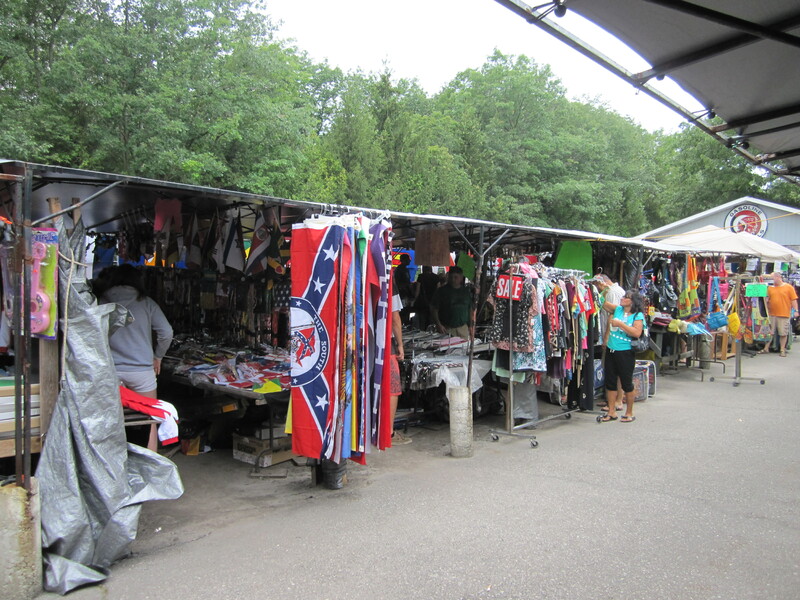 What is unique about this market is that the outdoor vendors are shaded by huge mature trees. This makes it quite comfortable to browse through on a hot summer day. Admission is only $1 per person (children 12 years old and under are free), and there is plenty of parking. 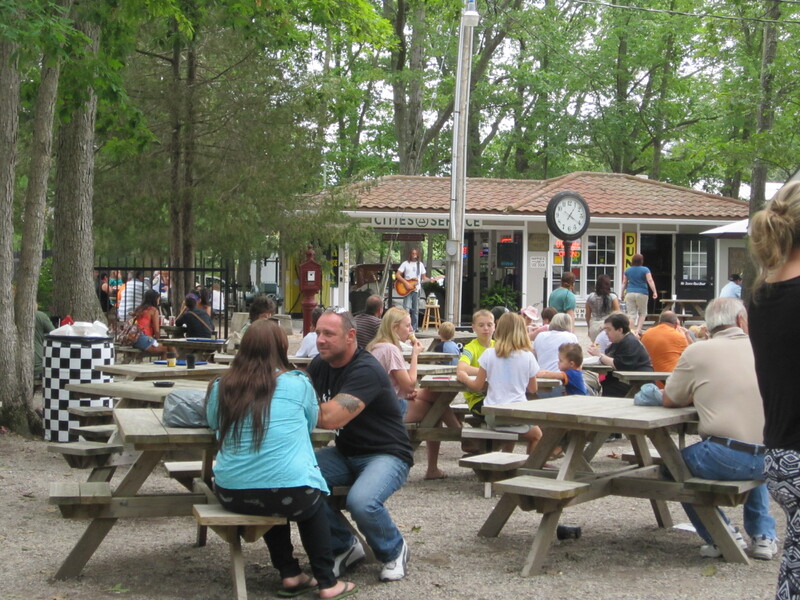 There is also a beer garden and live entertainment beside the 1930’s vintage gas station. I ended up sleeping in on Sunday (one of my favourite past times on the weekend), so I missed the hot breakfast they offered from 8 to 10am. Tip: If you are looking for some food, try Woody’s fresh cut fries. Woody’s is located in the chip truck on the path closest to Bluewater Highway. I got the small size for $2.75, and it was huge (see photo)! The Pinery Antique Flea Market is open Sundays, rain or shine, from 8am to 4pm all summer long until Thanksgiving. For more information, phone 519-238-8382 or send them an email. Directions: Located on Bluewater Highway (Highway 21), 3 miles south of Grand Bend on the east side of the road, halfway between the Pinery Provincial Park and Grand Bend.